Some of you might not know that Im actually fan of the outdoors, but I think most of you would know that too much sun on your head isn’t good either. Thankfully I had Davines to save the day to give a check up on my scalp, provided with treatment. 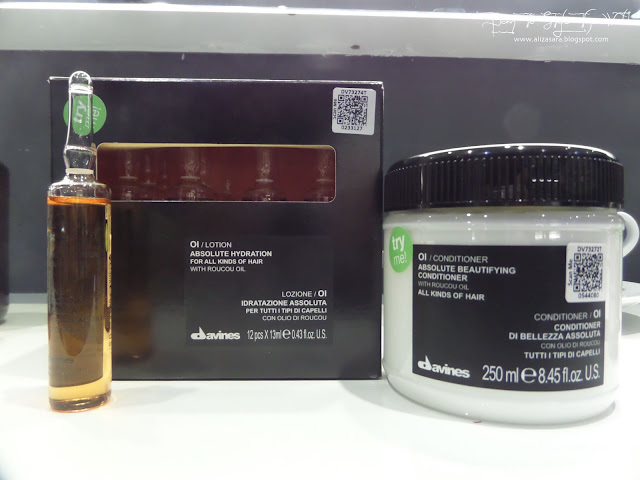 If you haven’t heard of Davines, well, im here to tell you all about it. And Albee, if youre reading this, THANK YOU for having me. Jol Leen checking ze scalp. And yes, as creepy as it looks like up close, Davines is here to save my scalp! Before the treatment started, Jol Leen, my hair consultant of the day was kind enough to explain to me about the product theyre going to use on my head. 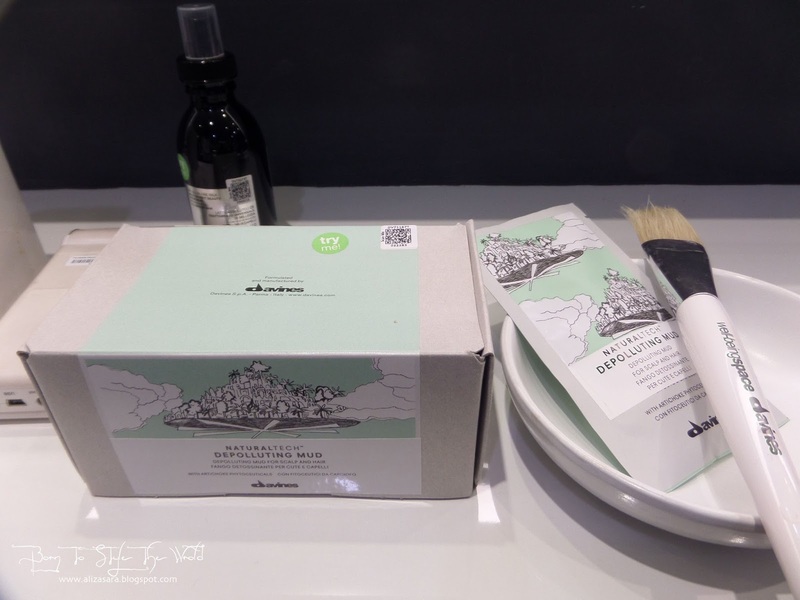 A short introduction on Davines, would be that the brand itself originated from Italy in 1933, focusing on sustainable and natural ingredients and has been in Malaysia for almost 30 years now. 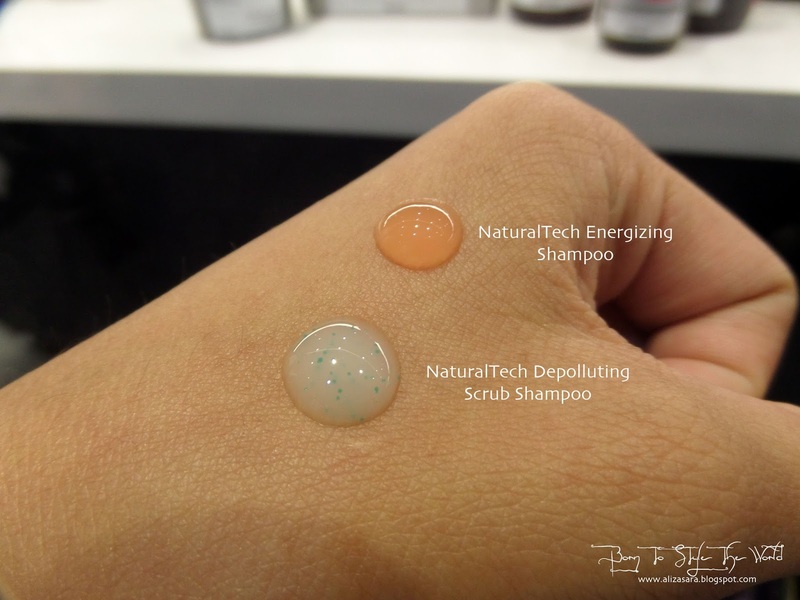 Natural Tech ; Depolluting Scrub Shampoo + Energizing Shampoo. Oi Series Lotion + Conditioner. So for my hair, Jol Leen will be using the NatureTech from the Depolluting series then followed by the Energizing series. And to start the treatment, I was given an aromatic massage, applied with the NaturalTech Well being massage oil, to relax myself and get my roots on my head to relax too before the scalp treatment. They even took a photo of me to prove to you that I was relaxed throughout the whole session. NaturalTech Well-Being Massage Oil, to start the session. Whats special about the texture is that its not oil based, but its gel based for easier absorption. A back massage to relax myself. And this girl right here, is really good at giving back massages. I love how I had to inhale the aroma for at least 3 times, a very calming sensation. 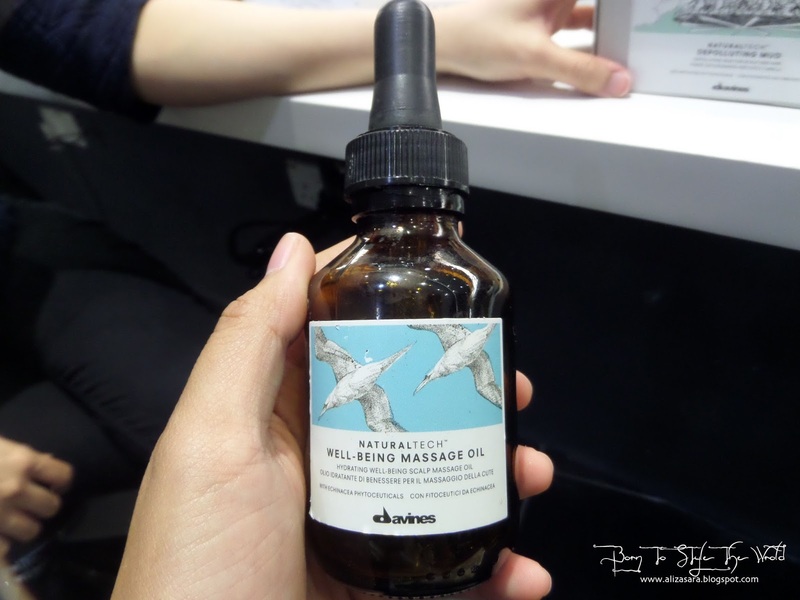 Whats special about this particular Massage oil was that its oil-free! As ironic as it sounds, the base is made out of gel to replace the oil content instead. Applied around the roots, which left a very cooling effect. 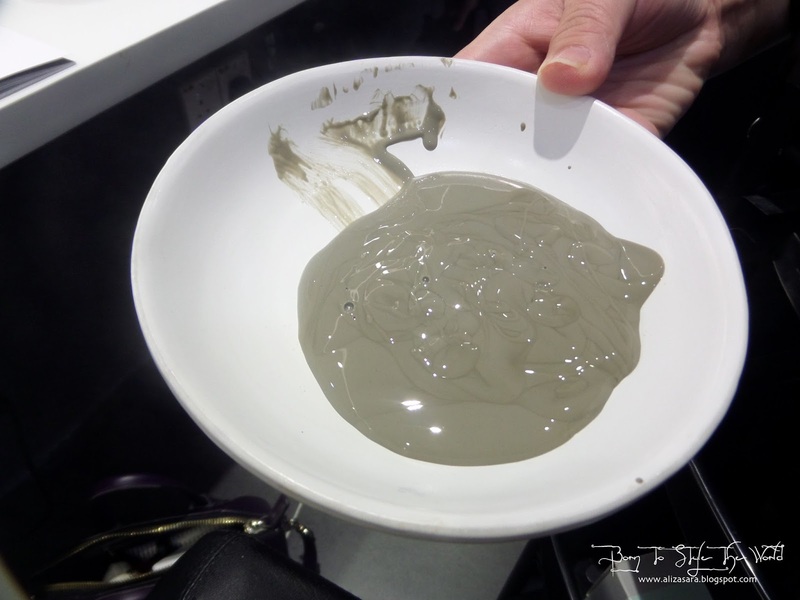 Next was the NaturalTech Depolluting Mud which functions as an a detox for the scalp. 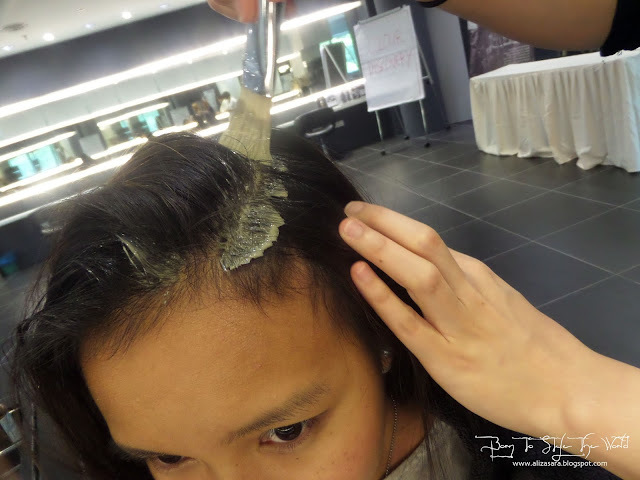 It was applied with a special brush to my scalp, and it felt like a thick cool layer of mud on my head. The benefits of this mud would be that it unclog pores and its very relaxing as the cooling effect makes you feel relaxed. Left for about 10-15 minutes then it was removed by washing it off, followed by using the NaturalTech Depolluting scrub shampoo to was everything off, leaving my hair smelling fresh and clean. After 15 minutes it was left on my roots. The texture of the shampoo. Right after that, they got me back to my seat to get the OI lotion + conditioner on. The benefits of this is that I’ll be getting absolute hydration for my hair. Who would say no to hydration? Like seriously. Hehe. This was unique, because if you see the image below, the lotion in the tiny bottle is meant to be mixed with the conditioner before applying. SO EXCLUSIVE! It’s a leave on conditioner so it was left on my head for about 15 minutes then it was washed off, using the NaturalTech Energizing Scrub Shampoo at the basin. After the Oi series of Lotion and conditioner was applied. And after the wash, Jol Leen blow dried my hair which was excellent. I fell in love with the smell of what my hair was executing. As the ingredients in Davines products contain natural and organic ingredients, it left a very pleasant scent on my hair, which stayed with me for the next few days. I even got compliments on how nice my hair looked and smell. Hehe. The incredible Energizing Superactive Serum. 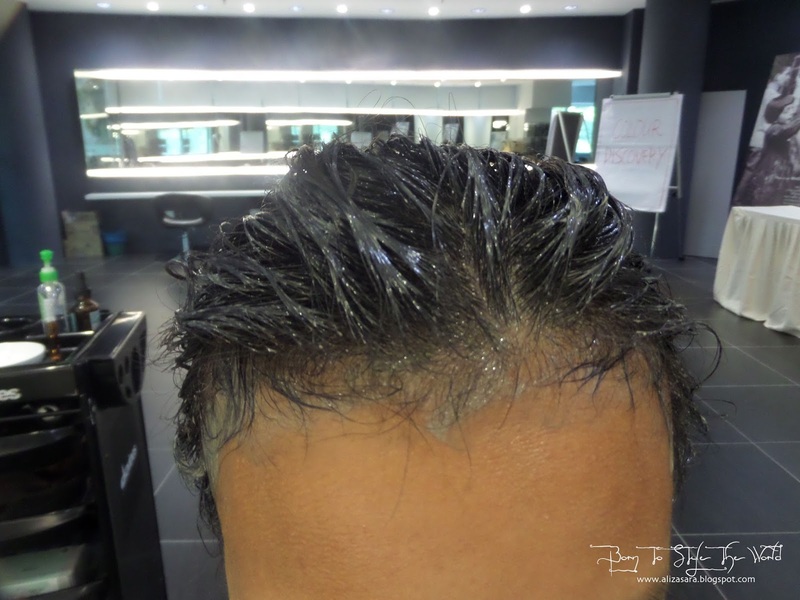 To end the session, Jol Leen applied the NaturalTech Energizing Superactive serum on my head which helps to stimulate the scalp and thinning hair. THIS WAS MY ULTIMATE FAVOURITE! Once this was applied around my head, it had this icy cooling sensation which I enjoyed. Imagine that feeling when youre chewing on mint, and that minty feeling in your mouth, is the exact same feeling, but on your head. Such a perfect way to end the session. Jol Leen blow drying my hair. And guess what? No more blocked pores! Well, and if you asked me, the results were extra positive and i am happy to see my scalp looking like it can breath again. Usually scalp treatments are to be done once a month at least, to keep your scalp relaxed, treated and well maintained if you ask me. Now the question is, where can i get this treatment? 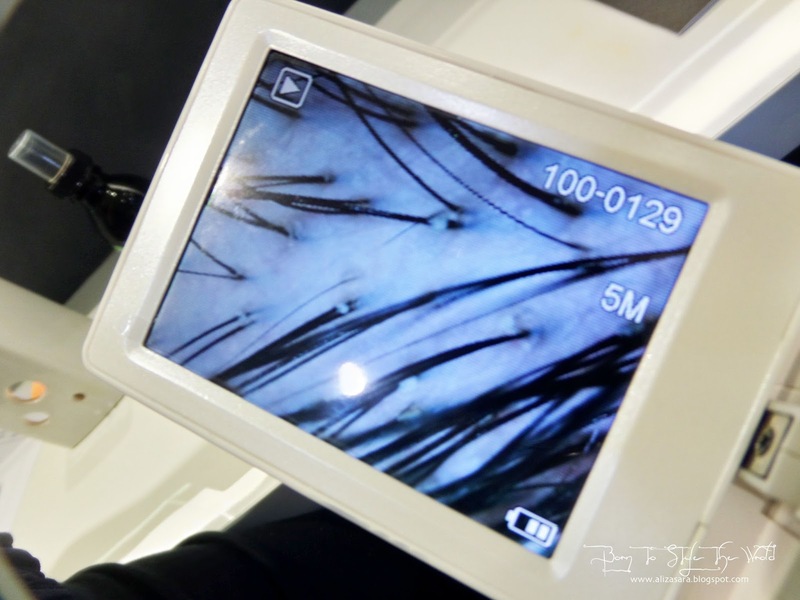 That will soon be updated in my blog if youre wondering, so do stay tuned on this page right here, as i am requesting a list of salons who provide services for Davines. 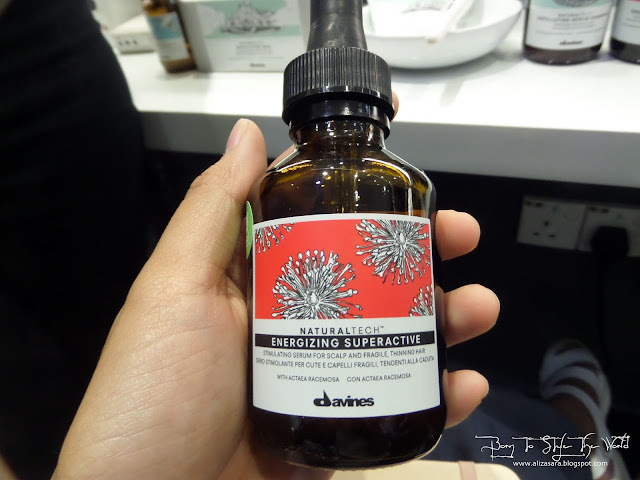 For more information, do visit http://www.davines.com/en/home/index/ or https://www.facebook.com/davines.malaysia for more details on Davines. Wow, what a lovely pampering session. You certainly looked like you enjoyed every minute of it. Lovely outcome by the end of it! I love the treatment as it prove the result on the spot. Wanna try one soon so that my hair will become as beautiful as yours. OMG I need this badly! My scalp recently really bad and got some hair fall recently. Will check out them at FB, thanks for sharing! gosh I need scalp treatment. 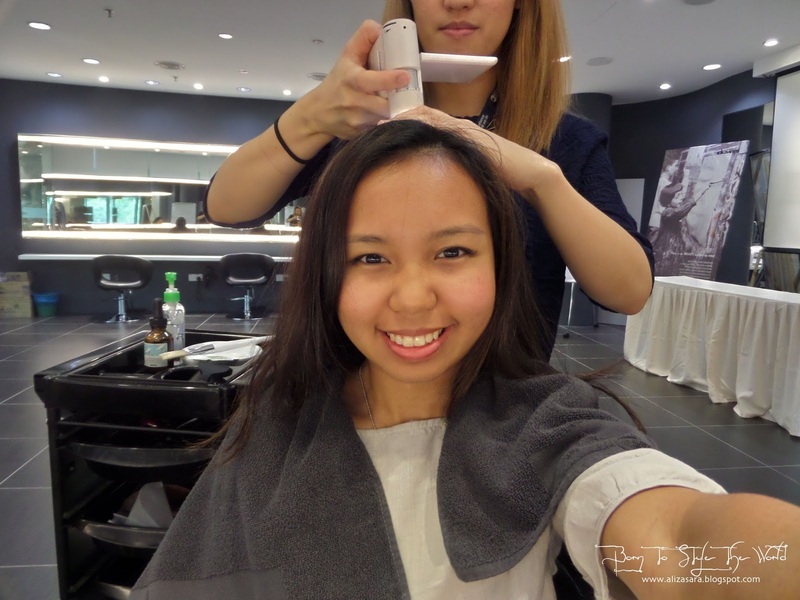 See your post I know I haven't go salon for a long time, starting to have frizzy hair now. Same here. I need scalp treatment. Drop lotta hairs lately. Sob sob. It really looks good treatment to revitalise your hairs and make them looks shiny and healthy. What a pampering session you got there! Jalouse! Don't understand why they washed off the leave on conditioner though? Isn't it supposed to be left on? First time hearing this brand. I love the packaging! 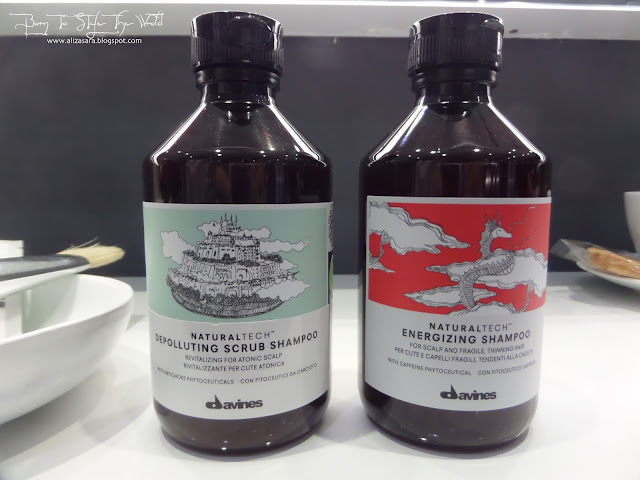 Yes to Davines! I'm a loyal fan towards their products! I'm currently using Balancing and Energizing shampoo alternately for a healthier scalp. They are just soooo goooodd! 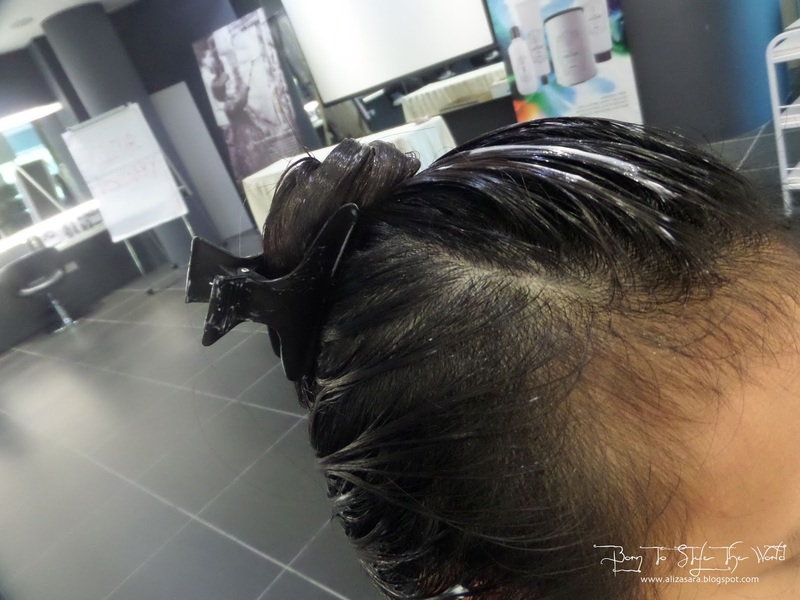 I wanted to try scalp treatment because I think my hair scalp is not healthy as its looks like. This Davines looks like a good product to try! Amazing! I would probably need those treatments, I have oily scalp so I get blocked pores a lot. 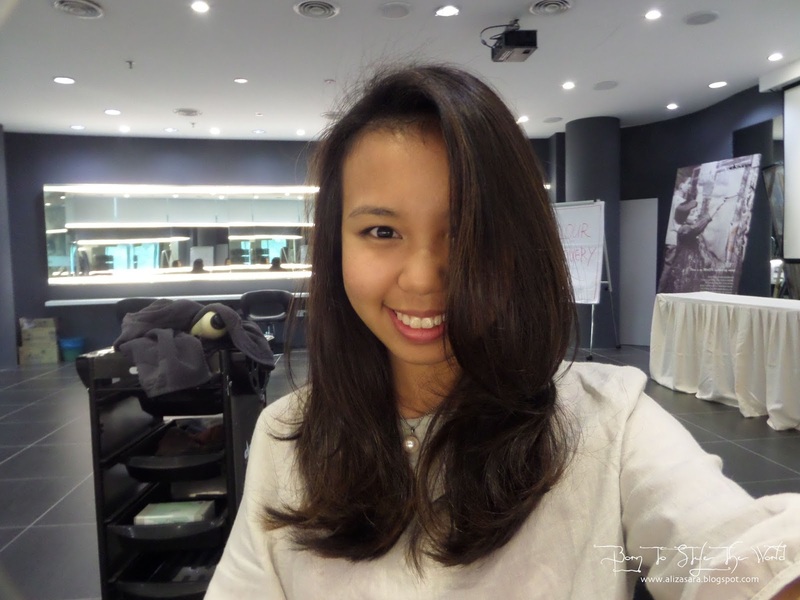 How I wish I could try pampering scalp treatment by davines.. 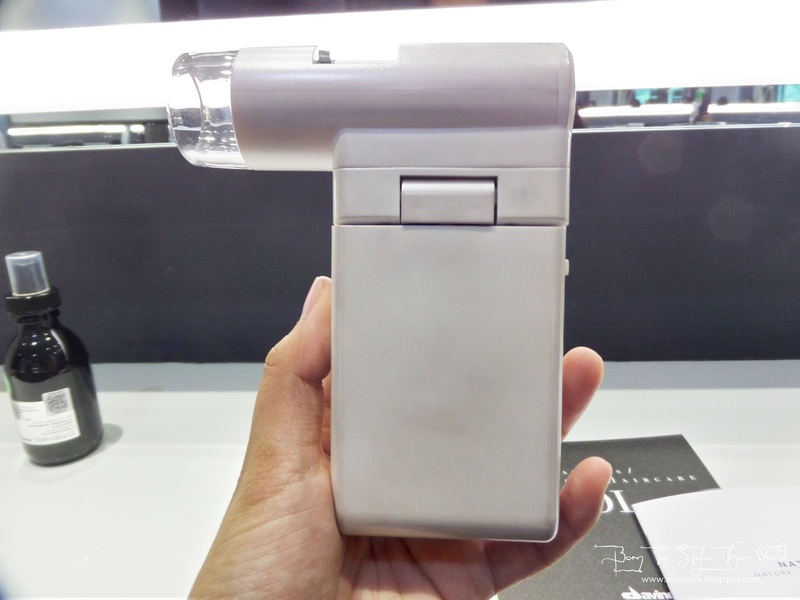 Such a great product.. 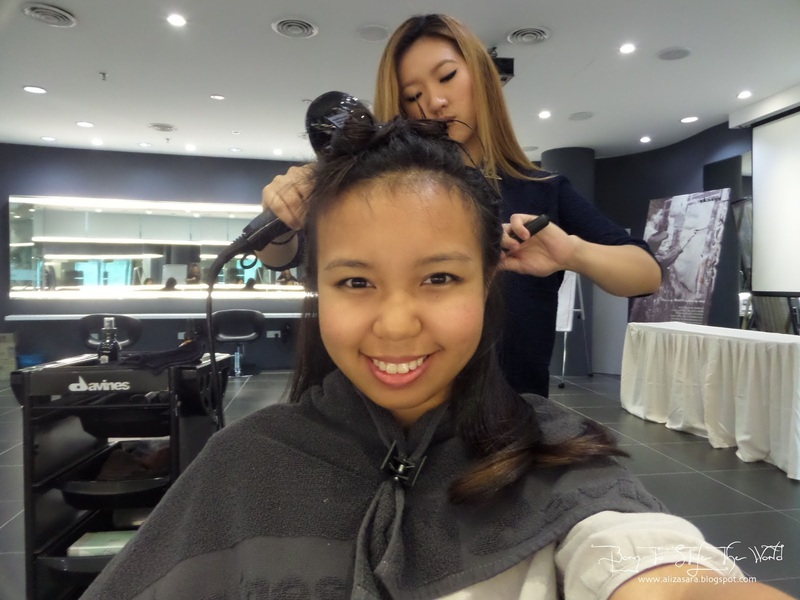 I also have scalp treatment b4...My hair is very oily! >.< Thank you for your suggestion on the products. :) You looks nice! i noticed a lot of salons are also offering and promoting their range of scalp treatment products. 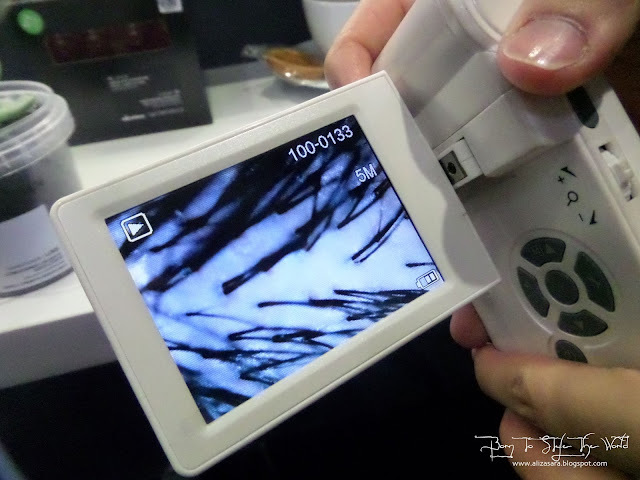 I need one now, as my scalp is thinning ><.. effects of old age.